AFTERMATH: Bundaberg's Brooke Olive captured the scene following a horrific car crash in Times Square, New York City on Thursday, May 18, 2017. "JEREMY saw the car hit the bollards but I didn't, I just swung my head around to see the car on the bollards and it catch alight underneath. 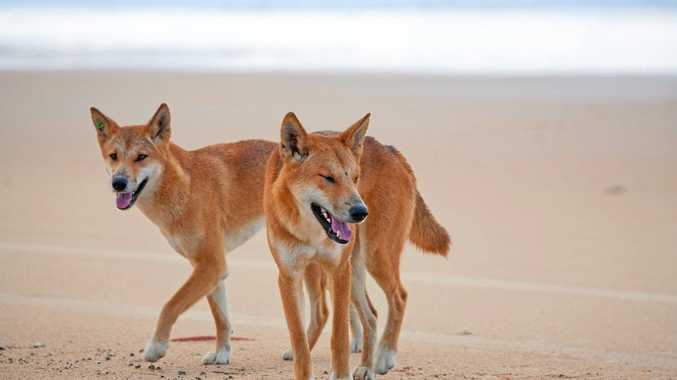 In the seconds of panic following a fatal car crash in the middle of one of the world's most ubiquitous tourist havens, a group of young Bundy locals witnessed it all. Former Shalom College student Brooke Olive, 18, her boyfriend Andy and their friend Jeremy landed in New York a week ago to begin the trip of a lifetime. 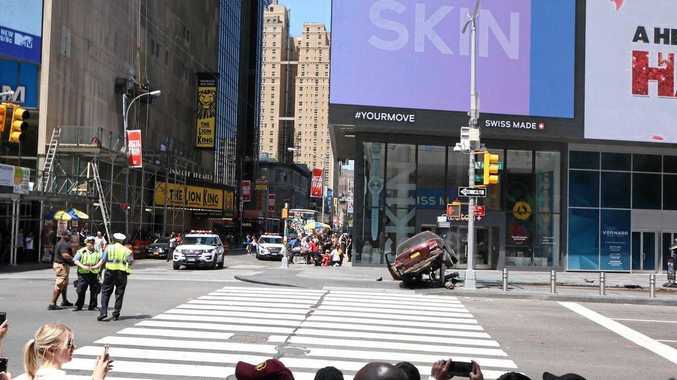 But while they walked through Times Square on Thursday morning they found themselves looking on as a motorist jumped the curb and hurtled down the footpath for three blocks, killing an 18-year-old woman and injuring about 20 others. In a sliding doors moment, they had stopped to take photos next to a fire truck less than 50 metres from where the car, driven deliberately by a Navy veteran with mental health issues, came to a fiery halt. 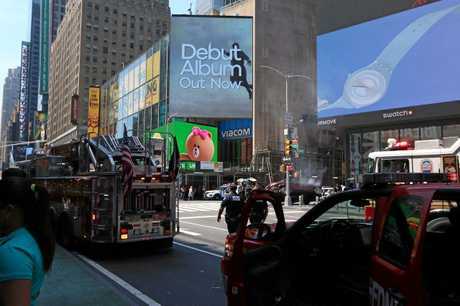 "We honestly just started walking down the street after taking photos and got to the rear end of the fire truck when we heard a really loud bang,” Ms Olive told the NewsMail from New York. By the time they realised crowds were fleeing the scene, "at least 10 people - including some who were nearly hit - jumped on the two guys. The police were very quick to clear the scene, Ms Olive said. "They just marched everyone away from the area to the next block but I still got some photos before they moved us. "We could have jumped in on the action of getting on the people but honestly we were a bit confused about what the heck was going on - we had no clue that he had injured so many. "I only saw one person get injured and dragged away from the wreckage - he was fine, maybe a broken leg. "We looked at the CCTV footage that got uploaded to Facebook and couldn't believe how many people he mowed down. "It was weird, there were no screams before the bang of the collision. 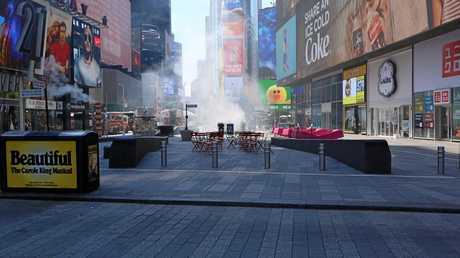 Bundaberg locals caught in Times Square chaos: Bundaberg 18-year-old Brooke Olive, her boyfriend Jeremy and their friend Andy witnessed a horrific car crash in the centre of New York City come to a fiery end last week. The friends managed to capture video of the chaotic scene. At this point the trio were still in a state of confusion. "We were a bit shaken, but we didn't know until later that the person died,” Ms Olive said. She said the incident had not put a dampener on their travels. 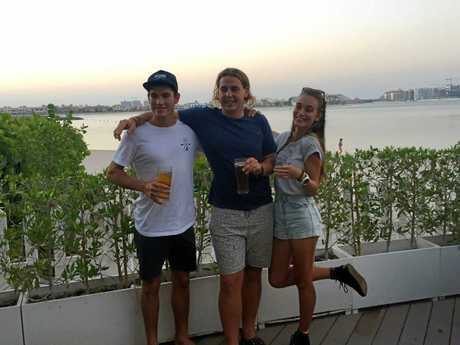 TRIP OF A LIFETIME: Brooke Olive, right, with her boyfriend Andy and their friend Jeremy in Dubai on their way to the US. Meanwhile, mum and dad, Tracy and Greg Olive, woke up to the news back home in Bundaberg. "Mum and dad called us,” Brooke said. "I was waiting to tell them until they woke up as the time difference is 14 hours, because if I message my mum in the night she wakes up and I really didn't want to worry them. 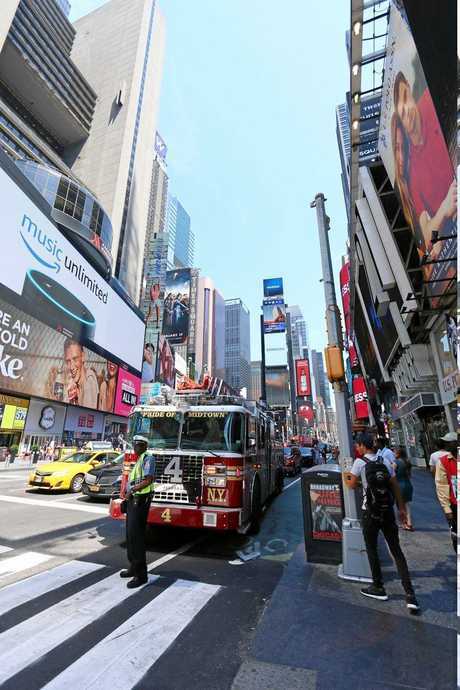 CLOSE CALL: A firetruck where Brooke Olive and her friends took happy snaps shortly before the horrific crash in Times Square, New York City on Thursday, May 18, 2017. Nothing has changed in New York City, Ms Olive said. But the three friends haven't been back to Times Square. Next stop for the intrepid travellers is Florida, Mexico and South America.